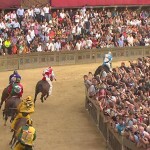 Siena and San Gimignano are located in the heart of the Tuscan countryside. Strolling the medieval streets and seeing the fourteen towers of San Gimignano’s historic centre, a UNESCO World Heritage Site, is an unforgettable experience. 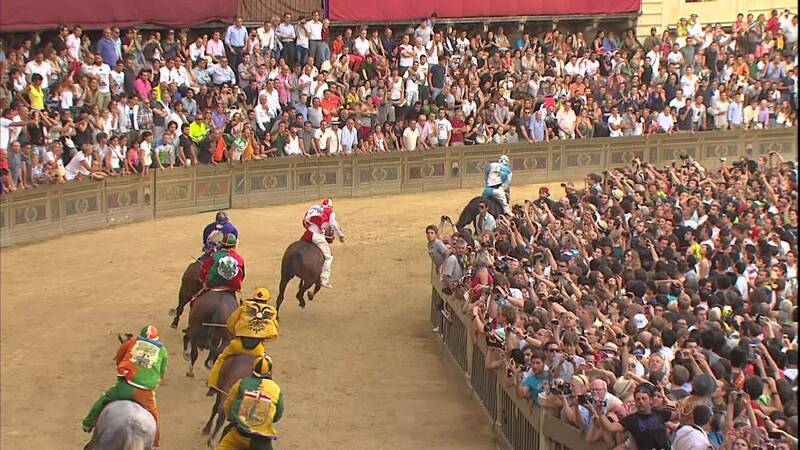 Siena, famous for the traditional horse race called Palio that takes place in Piazza del Campo every year, is a town with a new discovery hidden in every corner. The guided tour of these two medieval cities will take visitors to the heart of the artistic and cultural history of Tuscany. 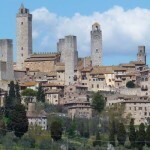 The tour will start with San Gimignano, where visitors will see the fourteen towers, built in the thirteenth century, which symbolized the city’s prosperity and wealth of its merchants. 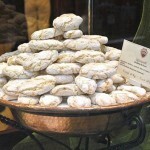 We will then follow streets of the old town to Piazza Cisterna, which is the old market place. 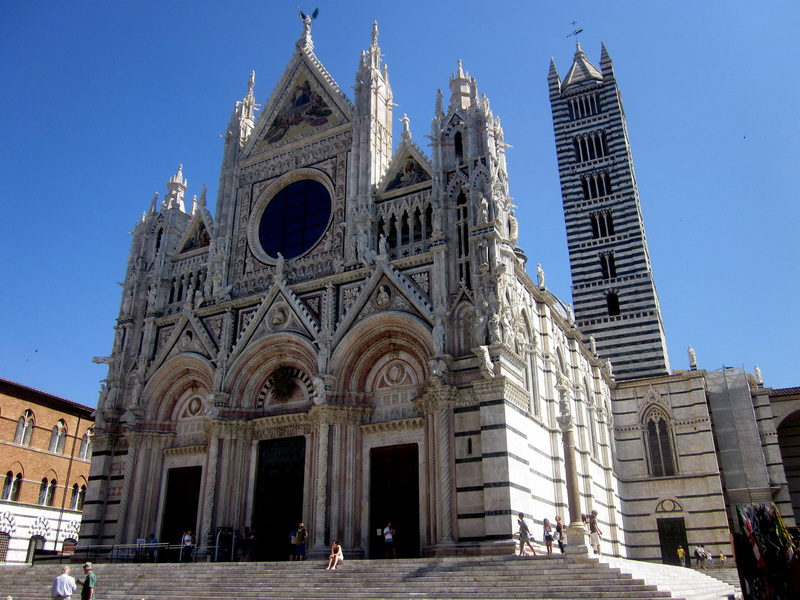 Following this, we will arrive in Piazza del Duomo, which is overlooked by the Town Hall, now a museum, where you can climb the 54-meter high Torre Grossa. After a lunch stop at Monteriggioni, a walled town offering a classic display of medieval military architecture, visitors will arrive at Siena. 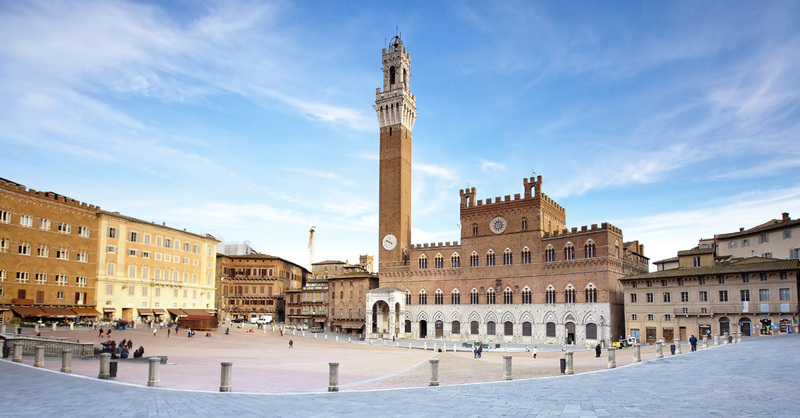 Examples of Italian Gothic architecture will be seen at the Piazza del Campo, designed in the fourteenth century, with the Palazzo Pubblico and the Torre del Mangia. 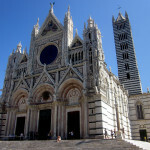 Visitors will also see the Cathedral, which is filled with masterpieces by Andrea Pisano, Michelangelo and Pinturicchio. 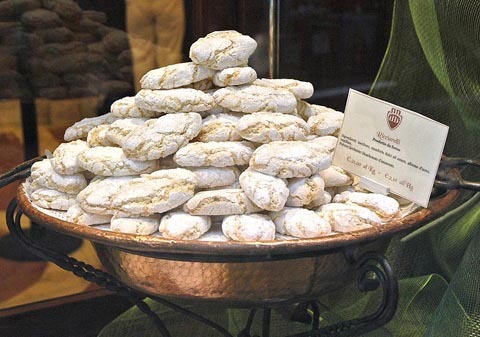 After a visit to the Baptistery, visitors can enjoy a coffee accompanied by some typical sweets from Siena, including Panforte and Ricciarelli. The tour will conclude with a visit to Chiesa di San Domenico, which displays beautiful frescoes and the holy relic of Saint Caterina. 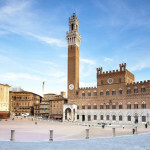 The tour to Siena and San Gimignano lasts a full day.